Welcome to Mother Nature’s Playground! 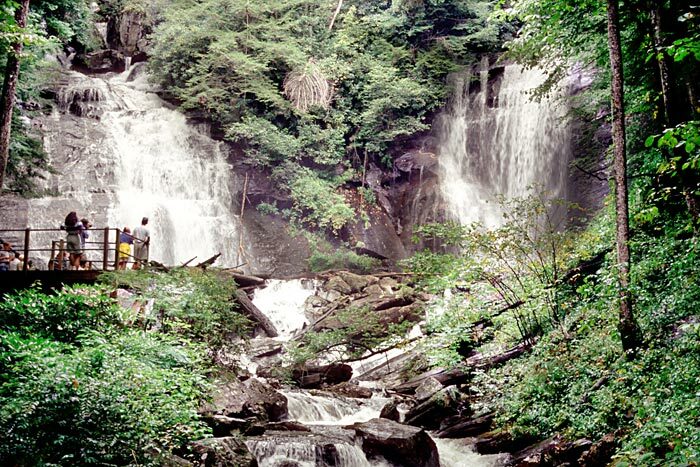 Blue mountains, sparkling rivers, thundering waterfalls, lush green forests, family adventure, Civil War & Cherokee history, and natural enchantment all await you here in the Northeast Georgia Mountains! If you’re planning to visit our region, please take a look around. We’d love to see you in Northeast Georgia! For more information, please contact us. We’ll be happy to send you travel guides, maps and other helpful visitor information to make your trip planning easier. 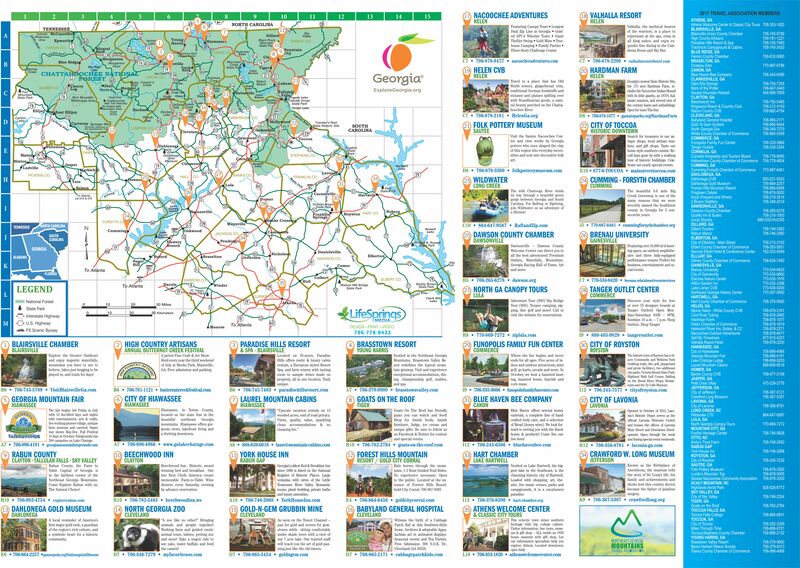 Discover destination information, special offers, news and event information that will help you explore Northeast Georgia! Also be sure to visit our Facebook page and follow our Twitter feed for the latest news and events. 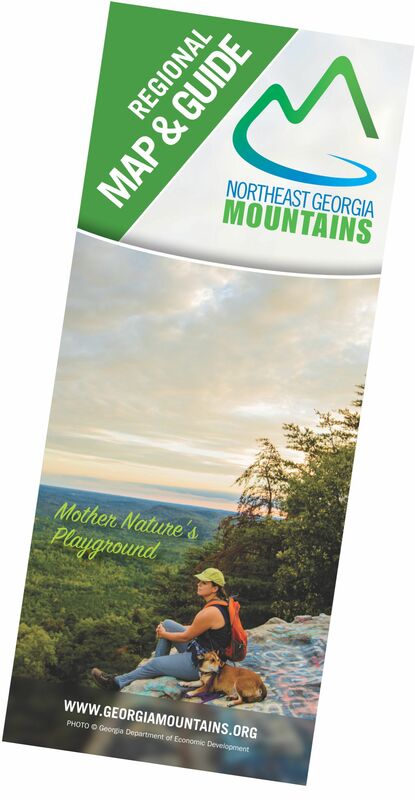 To request a FREE map of the Northeast Georgia Mountains, please CONTACT US. Or download a copy below. 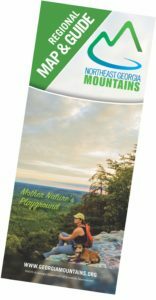 Looking for fun things to do when you visit the Northeast Georgia Mountains? 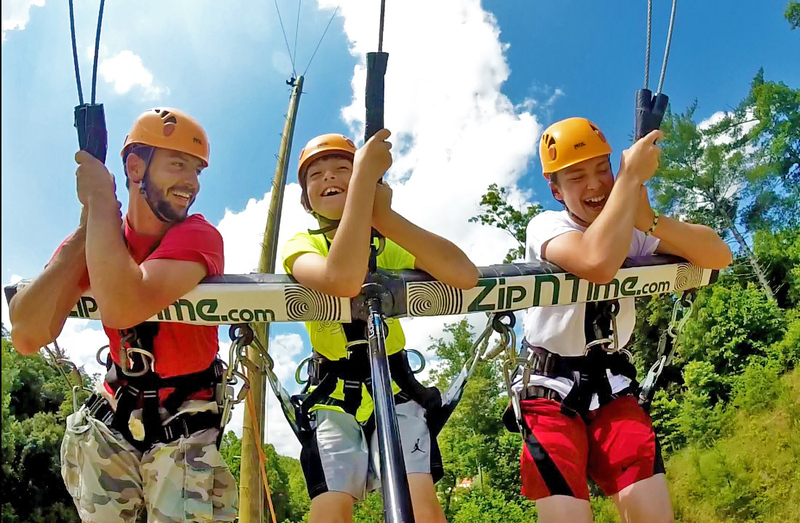 Whether it’s ziplining, horseback riding, golfing or something else, this is the place to start! Whether you want to hike a trail that leads to a cascading waterfall or take in the smells of popcorn or sorghum at a seasonal festival, we can help you find what you’re looking for! 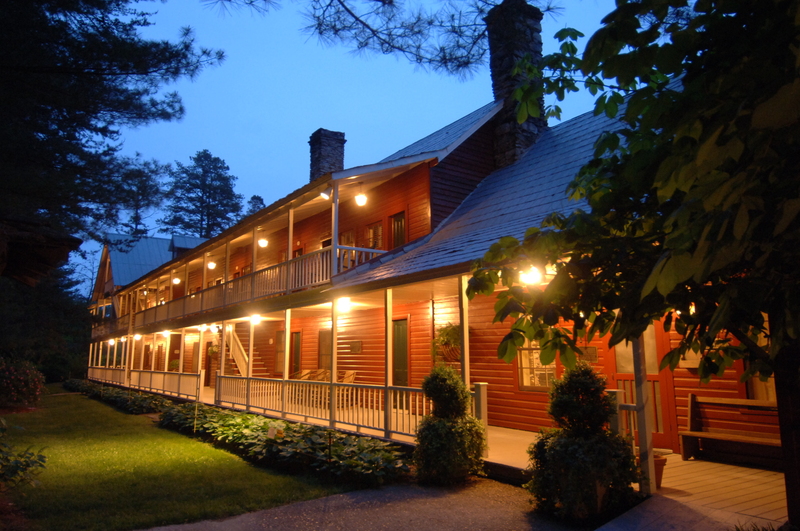 The Northeast Georgia Mountains feature many award-winning restaurants and accommodations. Click here for a list of places to eat, stay or relax on your next vacation! Click the Map Below to Download a PDF.